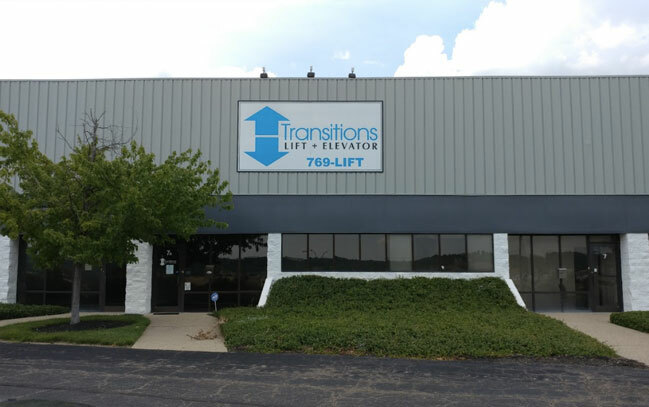 When moving up and down on an outdoor vertical platform wheelchair lift, whether at home or in a business, you often need protection from the elements. That’s where this type of lift really proves to be useful. It has an enclosure to shelter you from sun, rain and snow. 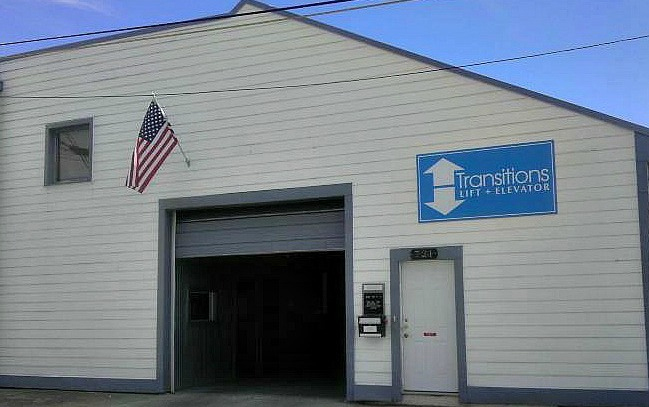 This lift is versatile in design and decor to match any environment. It can also can be utilized both indoors and outdoors. 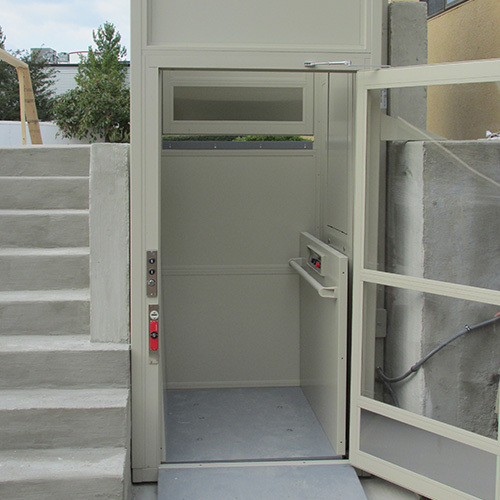 This vertical wheelchair lift is extremely versatile. The design possibilities are almost limitless. 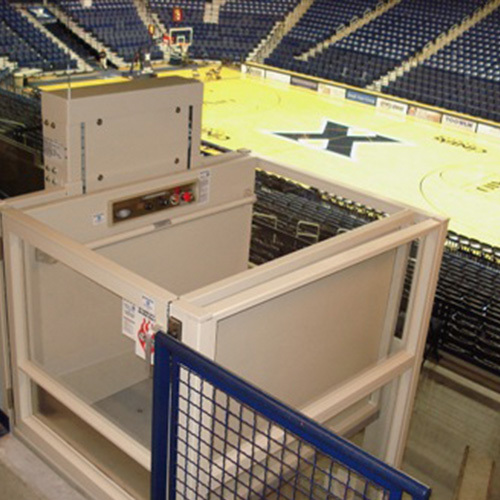 The enclosure is required in many applications and can be installed with forced ventilation and a roof. 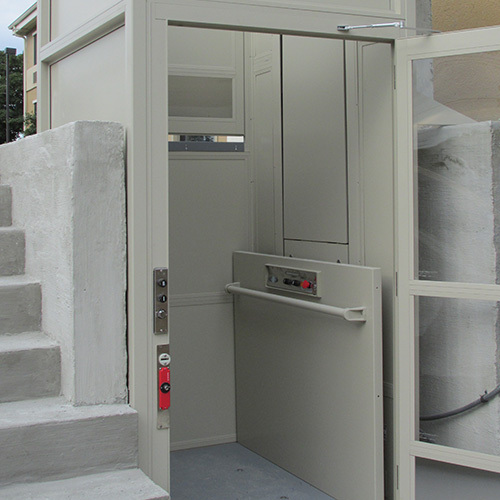 This lift can be very cost effective compared to elevator alternatives. 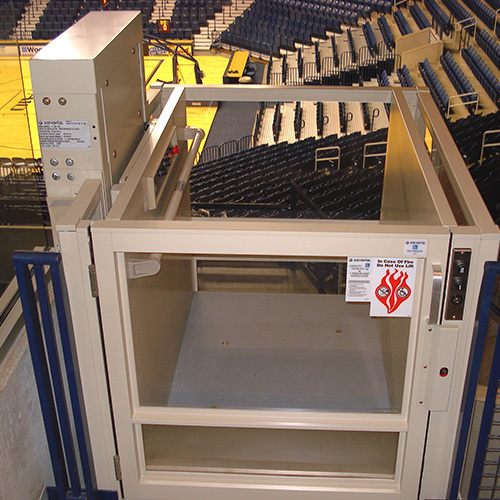 It provides access in multiple situations for wheelchair users. • 750 lb (340 kg) capacity •Maximum travel of 23' (7,000 mm) •Travel speed: up to 25 feet/min (0.13 m/s) approx. Aluminum/Acrylic Model - This enclosed model uses aluminum and acrylic inserts and top dome with corrosion-resistant steel components, making it excellent for outdoor applications. Optionally, this model can be ordered with tempered or laminated glass panels, according to your preference. 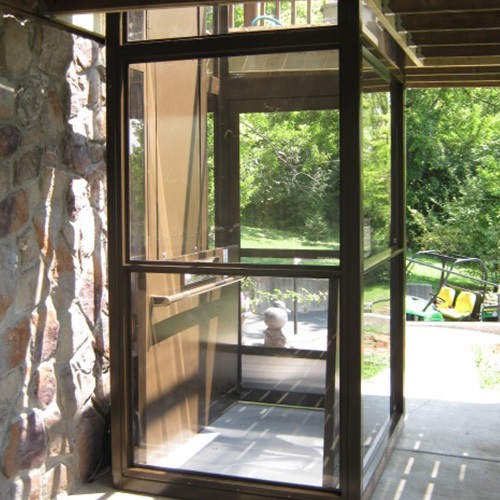 The active ventilation system keeps the inside comfortable and the gates and door can be motorized. Luxury Framed - Framed in brushed stainless steel with tempered or laminated glass inserts, this lift is an appealing complement for lobby areas, offices and public buildings. 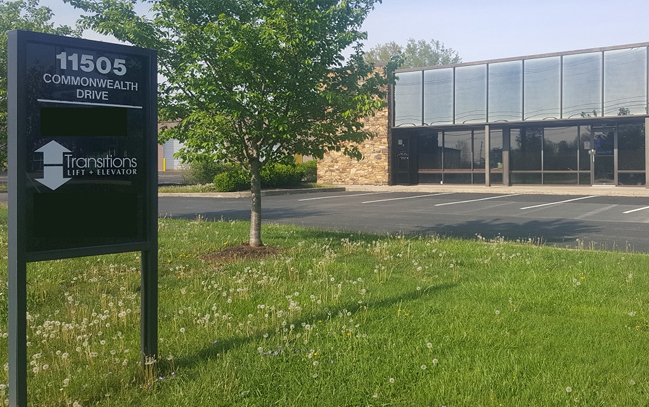 Prestige Frameless - With half-inch structural tempered glass and no visible frame, this lift is the ultimate statement for creating barrier-free access in a variety of commercial applications. Optional Powder-coat finishes in light grey, dark grey, black, architectural white, dark brown, fence green, white or custom color (see color chart). See more about finish options according to the models listed above.